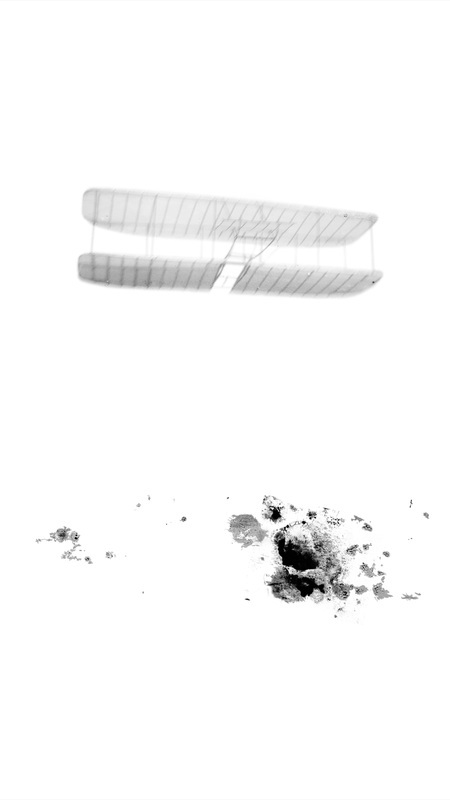 Construction/Destruction involves glass plate negatives created by brothers Orville and Wilbur Wright to document their flying machine experiments between 1898 and 1911 in Kitty Hawk, North Carolina, and Dayton, Ohio. 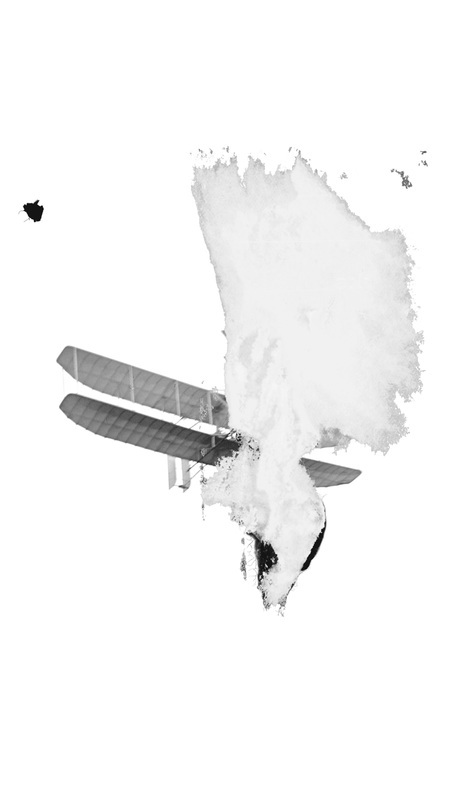 To protect their discoveries and progress, the Wright brothers were secretive about the details of their flying experiments and made few prints from these negatives. The plates were eventually stored in a shed on the Wright family property in Dayton and were damaged in the Great Dayton Flood of 1913, the greatest natural disaster in Ohio’s history. Many of the negatives contain marks, cracks, and tears where the photographic emulsion began to peel away. 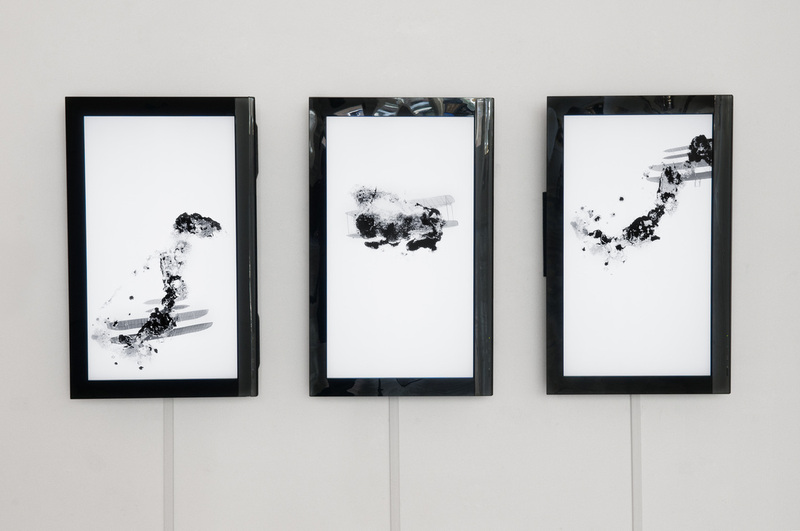 In Construction/Destruction, these blemished negatives have been digitized, transformed into a precise numerical code. 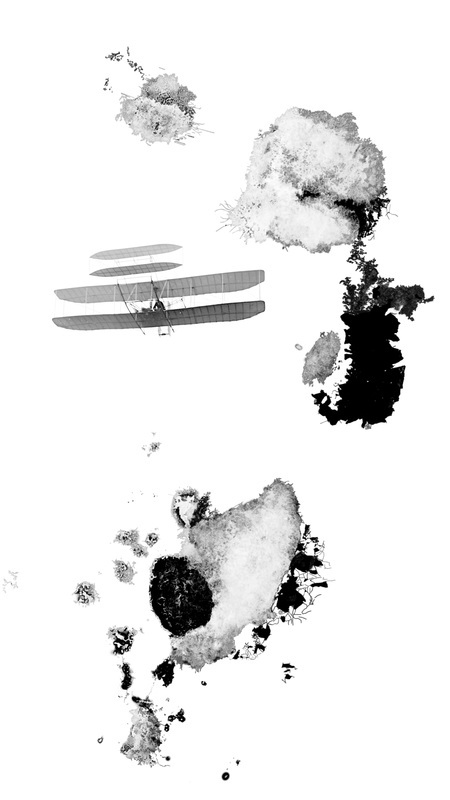 I manipulate this code, extracting the flying machines and physical scars from the original photographs and placing them together in an empty space. 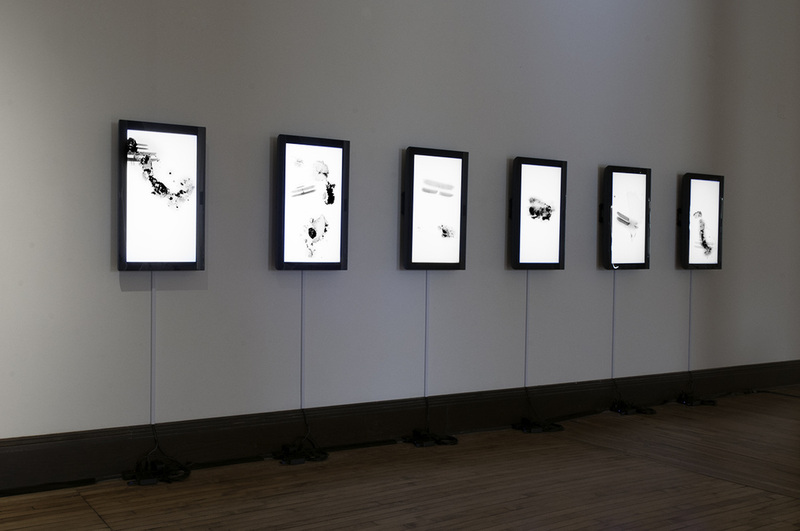 The planes oscillate behind the destruction in a continuous loop, acknowledging my ability as a digital artist to precisely select and repeat photographic material. 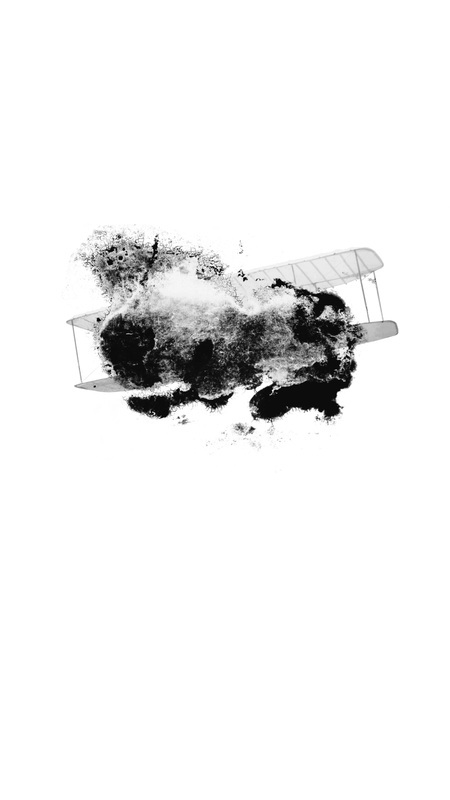 There is a compelling juxtaposition between the destruction and the documented flying experiments. Although progress toward a grand invention is captured, the damage becomes a suggestion of disaster. Some of the marks are reminiscent of explosions in the sky, perhaps foretelling the violent and destructive potential of the invention. 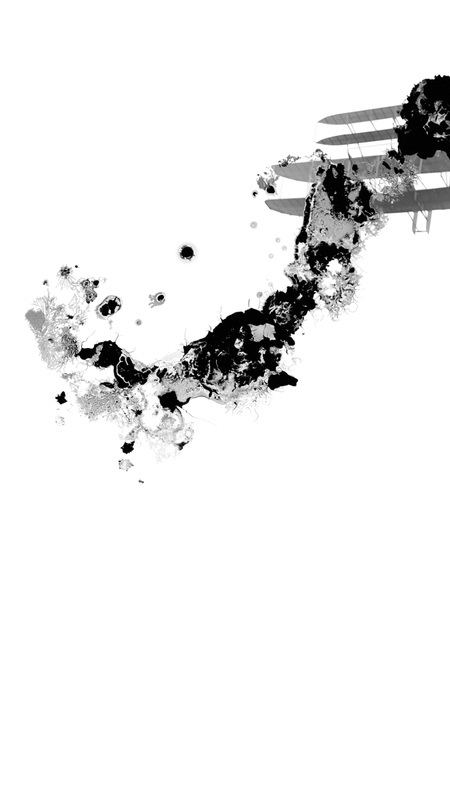 Indeed, World War I began the year after the flood occurred, and the fighter aircraft soon emerged. 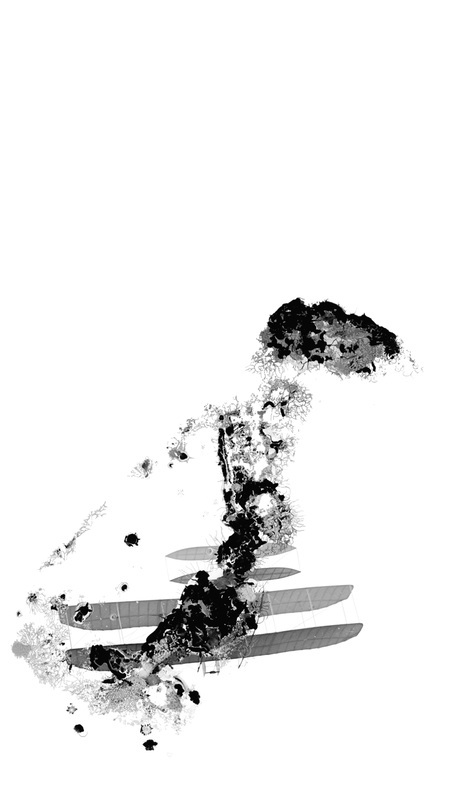 In these animations, the flying machines sway among the physical devastation, mimicking the motion that made fixed-wing powered flight possible and satisfied the human desire to fly.